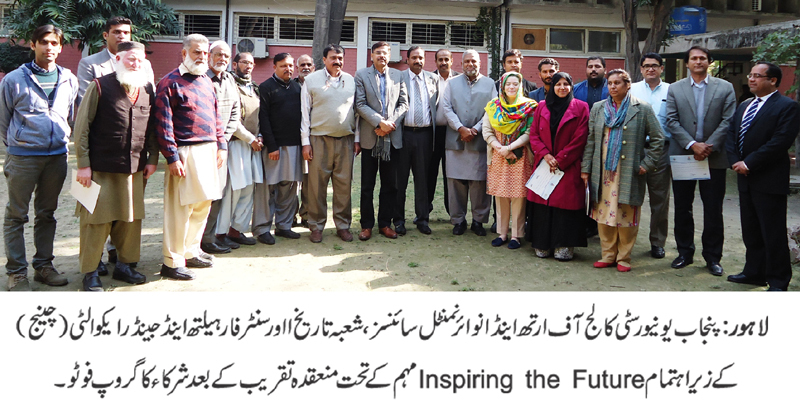 LAHORE: (Wednesday, February 7, 2018): The faculty members of the Punjab University are promoting the peace promotion campaign of “Inspiring the Future” by designing a specialized content in their class rooms to engage the students in peace and harmony show up in PU. The faculty members of the Punjab University; in the peace planning session hosted and organized by the College for Earth and Environmental Sciences and the Department of History & Pakistan Studies in collaboration with Center for Health and Gender Equality (CHANGE) has devised a youth focused Peace promotion content for the students by having a extensive discussions at session. The said content will be used as a persistent intellectual resource to strengthen the implementation process of the National Action Plan against terrorism and to take on the youth support to counter violent extremism. The said event was ended up with a special dialogue on teachers’ role to strengthen the peace. Mr. Salman Abid (Columnist), Dr. Mehboob Hussain (Department of History), concluded the session and distributed certificates among participants of the planning sessions.